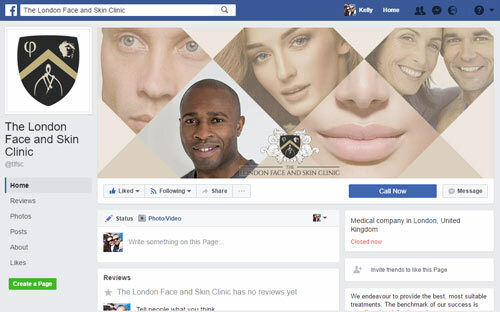 Social media and website design for The London Face and Skin Clinic, non-surgical and minimally invasive cosmetic treatments in London, UK. At the beginning Richard was quite set on how he wanted his website to look. However, once we started discussing colours and layout, new ideas arose. This often happens with small businesses who may of outgrown their original marketing material, and are looking to take the next step. I love the final choice we made, a really nice silk/gold combination with plenty of white space to keep the site clear and easy to navigate. Richard’s person-ability and great portrait photo on his ABOUT page offers peace of mind to potential clients. The bulk of the website and blog was created in WordPress using a theme which I completely customised. This left Richard, a hands on business owner, with a site he could update himself. Checkfront was used for the secure online booking system, which has a great support team and plenty of work-arounds if you have CSS/HTML knowledge. From Checkpoint Richard can add new services, appointment availability, block holiday periods and respond to bookings. 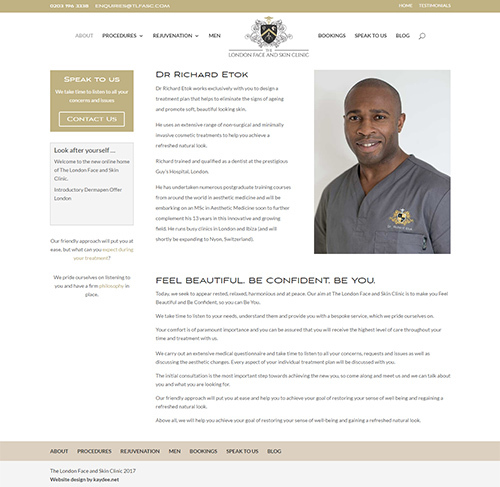 I aligned Richard’s Facebook, Instagram, Google+ and Twitter accounts to reflect his new branding and website.